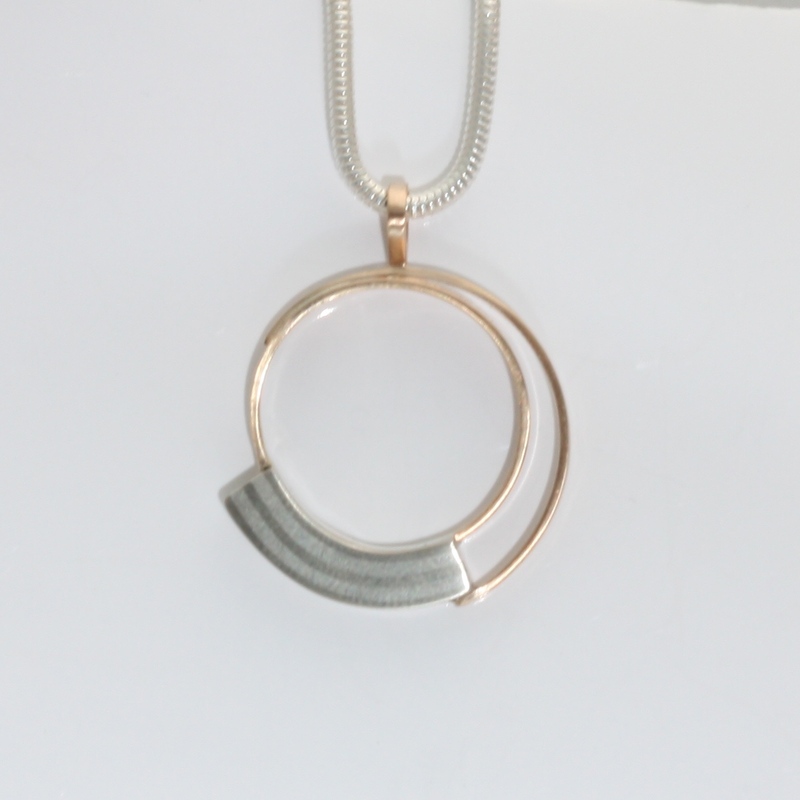 A squarish pendant with asymmetry. 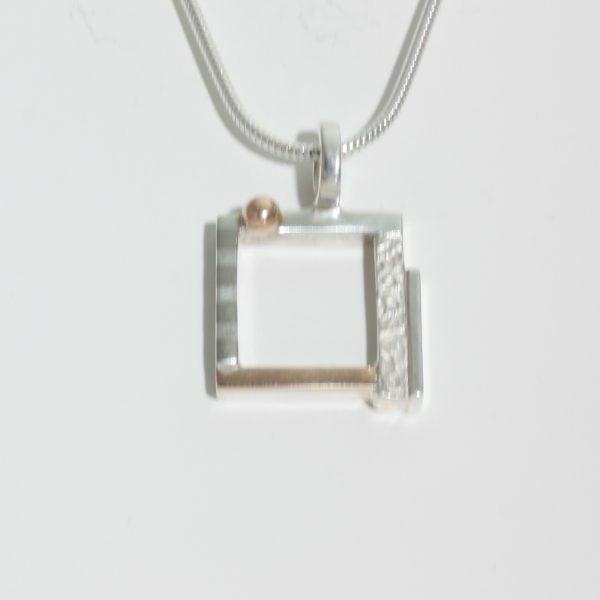 Fabricated in sterling silver and 14k gold with a subtle striped pattern. 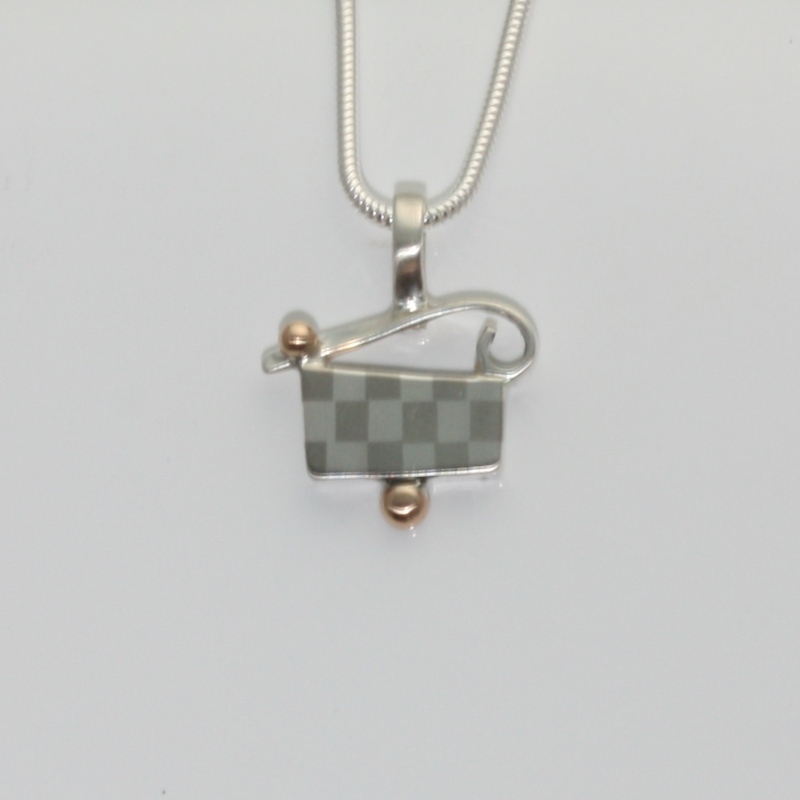 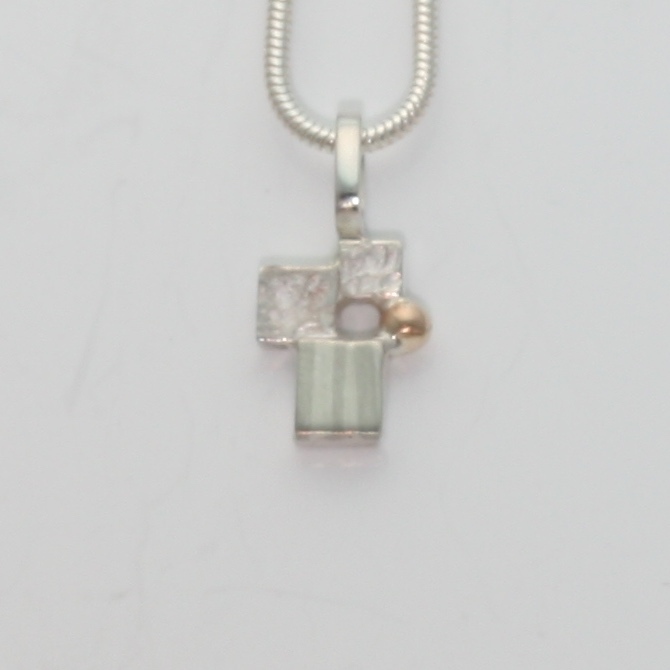 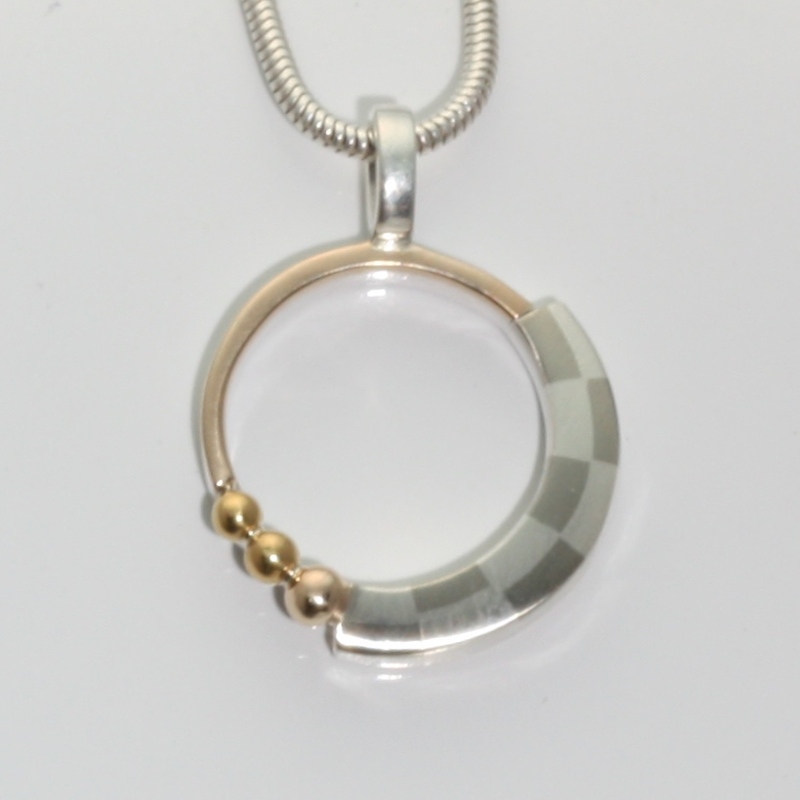 The pendant comes with your choice of a 16″ or 18″ sterling silver chain.